32. Use compassion instead of judgment. 65. Write a love poem…and hit send. Ready, set, release. The Pisces full moon awakens our desire for closure on a deep soul level. As the zodiac’s last sign, Pisces is about endings and transitions. It’s time to surrender, wave the white flag, and accept the things we cannot change. Yeah, we’re quoting the Serenity Prayer, because recovery is part of the Pisces realm. As human beings, we’re addicted to control. We manage our weight, our partners, our money. . . whatever we can get our hot little hands on. Yet, the more we try to manipulate the world around us, the crazier we feel! Seriously. What’s scarier than a calorie-counter who hasn’t eaten a solid meal for days, or a person consumed by jealousy and fear in a relationship? Tunnel vision makes us mad men and women. The Pisces full moon arrives in perfect timing, offering a one-way ticket outta our self-constructed Crazy towns. Since full moons are like giant celestial spotlights, this one could beam into an area of life where you’ve been stuck or in denial. If you’ve ignored your intuition, your appetite, and your creative expression, the Pisces full moon reminds you to pay attention. Pisces is also a dual sign, which means we will experience some of life’s paradoxes. In the light of the Pisces full moon, the veil between the spirit world and the living is thinner than ever. In the next couple days, boundaries can be blurred. You may experience coincidences, deja vu, vividly symbolic dreams (Pisces rules sleep and the subconscious), or strange “signs” like repeating numbers on the clock or coins (especially dimes and pennies). There’s a message in there, so follow the clues. Is there an ancestor with whom you feel a special connection? Ask this person to be your guide from the other side. Hey, you never know. Put up his/her picture or add something to your environment that’s a sentimental and energetic reminder. 2. Use compassion instead of judgment. 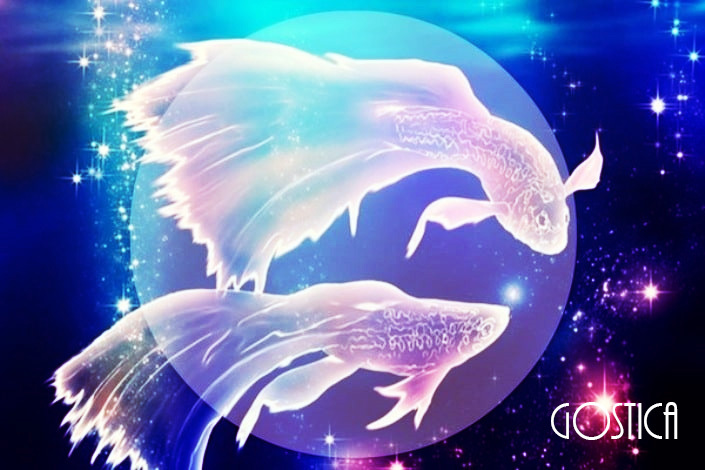 Compassion is a huge Pisces theme, and it’s one of the most healing forces on the planet. We can only experience compassion when we catch ourselves judging other people, and instead, try to step into their shoes. Easier said than done? Oh, yeah. We’re judge-a-minute machines by nature. But judgments keep us divided, which leads to a deep sense of existential loneliness. That awakens compulsive, controlling behaviors, the ones that send us spiraling into unhappiness, addiction and manipulation. Who have you been judging in your life? Do an experiment and try to view this person through a lens of compassion. What do you see? Where are they struggling? If you’ve been uncompassionate toward yourself, where could you be kinder? This seems like 101 advice, but it’s pretty amazing how quickly your inner voice can reach you when you just put pen to paper and let the s**t flow out. We’re fans of Julia Cameron’s The Artist’s Way, mainly for its brilliant practice of Morning Pages. For the uninitiated, you begin your day by free-writing three pages. So dust off your diary or buy yourself a beautiful new one to rewire that pipeline to your soul. Brace yourselves people, this full moon can bring up some turbulent emotions. It might even make you feel a little “cray-cray” in moments. Since there’s no way around the madness, pick a healthy outlet for release. Pisces rules the feet and is also an avid music hound. There’s no better place to lose your s#!t during a Pisces full moon than on the middle of the dance floor. Whether it’s an ecstatic dance class, trance dance meditation, mosh pit, or outdoor club, do find a strobe light and let loose. Exhaust yourself at an electronic music show, Zumba till the cows come home. Just dance (dance, dance). Then, come home and soak your tootsies in a luscious essential oil foot bath. 5. Write a love poem…and hit send. Secret crushes, surreptitious affairs, clandestine rendezvous: the full moon in Pisces permeates the air with a Romeo and Juliet vibe. But instead of getting swept up in anything torrid and tempestuous, remember that Pisces also brings the power of the pen, at least the poetic one. Write an ode to your true love, or the one you hope will fill that role. Hit send, or drop it in the mail on lightly scented stationary. PS: Results from a full moon usually flow in within two weeks. Does s/he love you or love you not? Ah, the crashing highs and lows, the thrill of suspense: this is what the Pisces full moon lives for, so enjoy the roller coaster ride. If you’re single and option-free, write the poem to your would-be lover and set it on an altar for two weeks. Romance the letter with rose petals, crystals and other sacred objects as a means of manifesting love. As the last of the 12 zodiac signs, Pisces is connected with the final years of life, the time when memories fade and blur and thoughts become less lucid. Who are the elders in your neighborhood? Your family? Take time to sit and talk with a fascinating octogenarian in your world. Listening to stories about “the good old days” will be a heartwarming experience under the light of this full moon. As our society tends to cast the elderly aside, your visit will probably have a profoundly uplifting impact. But it goes both ways, so expect to get an earful of inspiration in return. In Piscean terms, forgiveness means release. Releasing judgments, grudges, pain and co-dependence. Releasing responsibility for fixing something that can’t be fixed, for changing what’s already happened. Piscean forgiveness means radical acceptance of what IS. From there, we can ask: what can I do right now that would make a difference? Suffering comes from a refusal to accept a situation as it is. It’s different from grieving—when we suffer, we give up our power. We stay stuck in the past, helpless and victimized. When we grieve, we acknowledge our emotions, but we still stay empowered, present and able to act.